On March 12, Disney's CEO, Bob Iger, met with shareholders at their annual meeting and announced a few exciting pieces of information for Disney fans. 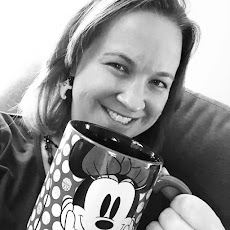 For this Disney-loving mom, there were two newsworthy announcements that I'm excited to hear more about - Frozen 2 and a name change for Disney's Hollywood Studios in Orlando. No one should be surprised that after the enormous success of Frozen that a sequel would be in the works. 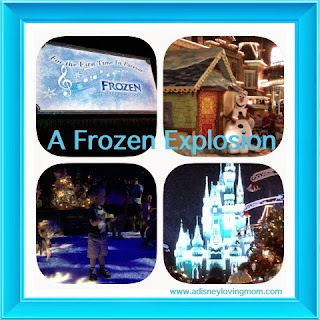 Frozen not only dominated the box office, but became even a bigger success from a merchandising standpoint and has drawn visitors to Disney Parks for a chance to dance and sing with Anna, Elsa, and Olaf. When we visited Walt Disney World in November, Frozen was everywhere. Elsa used her powers to light Cinderella's castle each night, some favorite characters could be found in Mickey's Very Merry Christmas Party parade, and Hollywood Studios featured several attractions including an indoor snow playground and a Frozen Sing-a-long. In addition, the Malestrom ride at Epcot has been closed to make way for a new Frozen ride. And if you want to meet Anna and Elsa in Magic Kingdom, you better get a FastPass+ reservation. We frequently saw lines to meet the princess duo exceeding two hours - yikes! Disney Cruise Line is also jumping on the Frozen fan craze by offering a cruise to Norway and special Frozen touches on board. With success like this, Disney isn't about to "Let it Go" anytime soon when it comes to Frozen. The second big announcement that caught my eye and ear was another name change for Disney's Hollywood Studios. This was actually a "surprise" announcement, even for Bob Iger. Apparently a young audience member asked the question to Iger who answered that there would be a name change coming to the park, and the quickly turned to other executives and asked if he was supposed to share that yet. No information was given about what the new name will be or when the name change will occur. Again, I can't say I'm surprised by this announcement. Hollywood Studios seems to be a park with an identity crisis in my opinion. Back in the day, when it was MGM Studios, the park was clearly devoted to classic Hollywood and a love of moviemaking. When the name changed to Hollywood Studios, Disney tried to hang on to many favorites from MGM while also expanding into the world of Pixar. 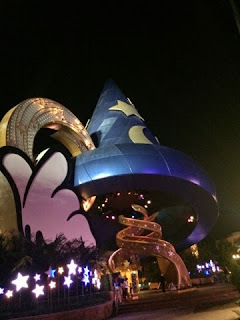 Between tearing down the Sorcerer's Hat, refurbishing the Great Movie Ride, and closing the Backlot Studio Tour, it's clear Disney has something up it's sleeve. My thoughts? Hollywood Studios will lose some of the "classic" Hollywood touches and will highlight Disney's many movie connections. Devotion to their own "classic" Disney movies, a bigger emphasis on the huge success of Disney/Pixar films (I've been patiently waiting for a WDW version of California's Cars Land), an area devoted to Star Wars that will draw in all of the fans of that franchise, and perhaps even a superhero part of the park featuring some of the Marvel characters are just some of my ideas. The only thing that seems clear now is that change is in the air and it's definitely exciting for Disney fans!